LimeWire Is Quietly Resurrected: It's Baaack! File-sharing program LimeWire has been permanently shut down after a federal judge found it guilty of assisting users in committing copyright infringement "on a massive scale." 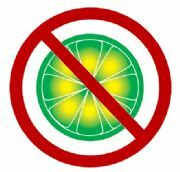 The shut-down is the final chapter in a case brought against LimeWire LLC by the Recording Industry Association of America (RIAA) over four years ago. The suit, filed by the RIAA on behalf of eight major music publishers in the U.S. District Court for the Southern District of New York, charged LimeWire with facilitating "pervasive online infringement." It also accused LimeWire of allowing and actively encouraging users to participate in music piracy. During the court proceedings, the plaintiffs claimed that over 93 percent of the software's traffic was made up of infringing content. In May 2010, federal Judge Kimba Wood found LimeWire LLC liable for copyright infringement. She also found LimeWire founder Mark Gordon to be personally liable. The RIAA then made two separate motions--one for permanent shut down of the company, and the other for freezing of the company's assets. "THIS IS AN OFFICIAL NOTICE THAT LIMEWIRE IS UNDER A COURT-ORDERED INJUNCTION TO STOP DISTRIBUTING AND SUPPORTING ITS FILE-SHARING SOFTWARE. DOWNLOADING OR SHARING COPYRIGHTED CONTENT WITHOUT AUTHORIZATION IS ILLEGAL." The injunction states that LimeWire's software is used "overwhelmingly for infringement" and allows for infringement on a "massive scale." It also states that LimeWire "intentionally encouraged direct infringement" by users and marketed its software to Napster users, who were "known copyright infringers," by promoting LimeWire's infringement capabilities. The case resumes in January 2011, when damages will be assessed. The statutory minimum for music copyright infringement is $150,000 per infringement, and the damages assessed may total up to as much as (or possibly more than) $1 billion. LimeWire CEO George Searle said in a blog post that the company is "naturally disappointed with this turn of events," but is "deeply committed to working with the music industry and making the act of loving music more fulfilling for everyone."